Chinese Internet company NetEase.com is reportedly planning to separate its Web portal business, which includes advertising and wireless services, from its online game business, and the company may separately list its portal business. Local Chinese media report that the the low expected share price of its online game sector has been disturbing the executives of NetEase.com over recent years. At the same time, both the portal and online game sectors are eating from the same budgets, which causes the misallocation of resources and further leads to the lack of competitiveness of its portal business. It may be a wise choice for NetEase.com to divide its company, because only if the two businesses are separated can they run more independently and rapidly, which will benefit their overall development. On the other hand, the independent listing should not be NetEase.com's current concern because the the revenue ratio of the online game business is much higher than that of the portal business. Though the revenue scale of NetEase.com's portal business is large enough to be listed on Nasdaq, it has little meaning to seek independent listing since the two businesses are not necessarily so close. 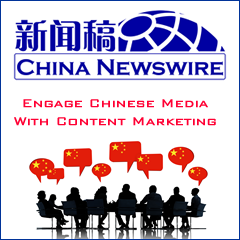 Prior to this rumor, CEO of NetEase.com William Ding announced that the company would expand its portal website business and would relocate its more than 100 employees in its news center to the Beijing office. NetEase.com made revenue of USD118 million in the fourth quarter of 2008, of which, USD98.6 million was from its online game sector.